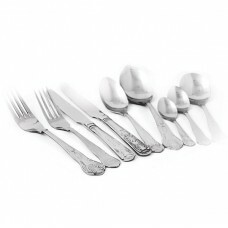 We stock 2 major brands of cutlery Amefa and Genware, both are leading manufacture's and stock are range of styles in both 18/0 and 18/10, we stock the main parish ranges including the old favourites Bead, King, Dubarry, Jesmond and Harley, Genware cutlery offers the ideal combination of performance, style and value, all Genware cutlery is hand polished offering excellent resistance to staining and pitting, while our range of plain cutlery offers great value for money where volume is needed. 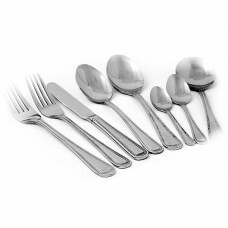 Amefa we stock mainly from their 18/10 range including Cambridge which all offer great stylish ranges for your gastropub or restaurant all made from the finest stainless steel. Manufactured from mirror polished 18/0 stainless steel. Bead cutlery is the timeless classic that is.. 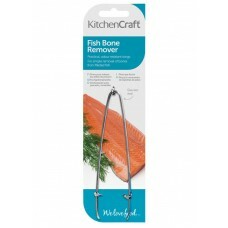 Practical, odour resistant tongs for simple removal of bones from filleted fish. The tongs our.. Manufactured from mirror polished 18/0 stainless steel. Kings has set the standard in traditional es..